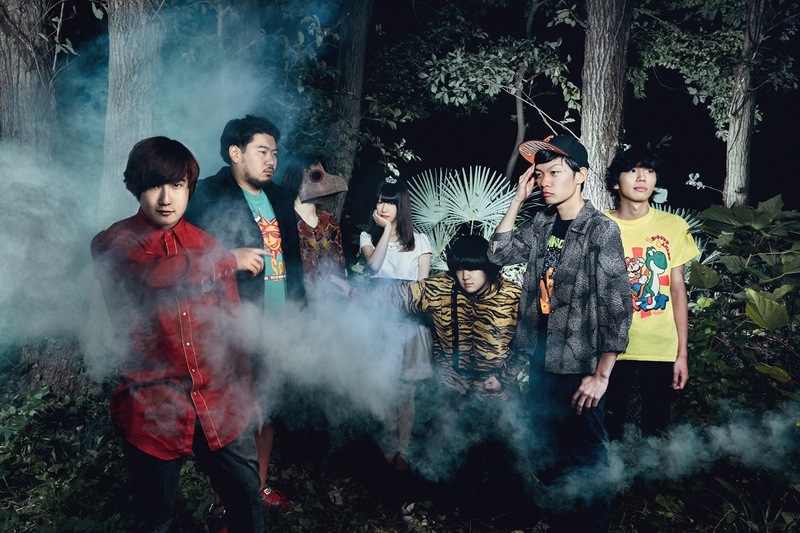 Healthy Dynamite Club was formed mainly by Satori Dynamite(vo), and Love Unlimited Shimadan (Gt) in 2015. They are a seven-piece band based on Black music, interpreting it into mellow, heavy and radical sound to convey emotional lyrics. That’s why their sound is called “Healthy Dynamite”. November 2nd 2015, their first show and solo show at Shimokitazawa SHELTER “Cho Bakutan sai” proved a success. Their music made 200 fans. Also they released their 1st EP “Bakutan EP” exclusively at the show venue. The limited 100 copies were instant sold out. The CD was re-pressed and distributed at 10 stores of Tower Records.